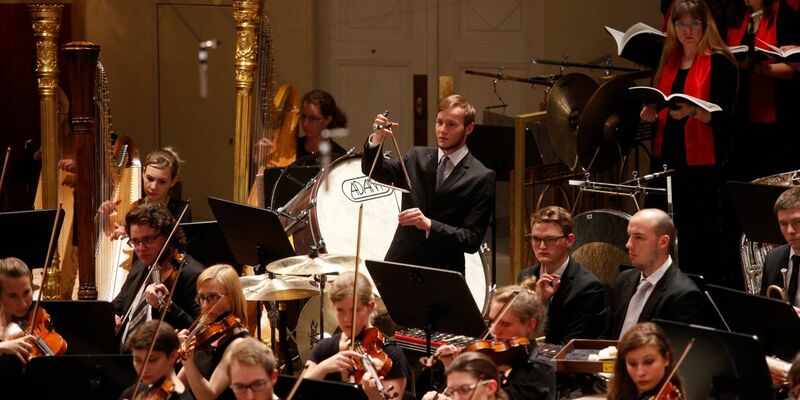 The philharmonic orchestra consists of about 120 musicians who are students from all faculties, music students, alumni and hobby musicians. These musicians alternate and play in various projects across the academic year. 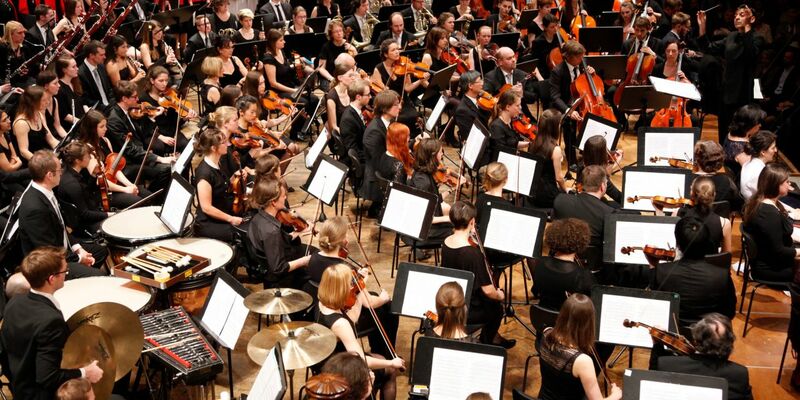 The orchestra plays mainly works from the Romantic period and additional chamber music projects with a baroque and modern repertoire are also offered. We especially emphasize on sectional rehearsals for strings, woodwinds and brass and ensure the constant musical growth of the orchestra. and concerts on the theme of ​“Masterpieces of Russian Music”. Additionally, a chamber music project with the Mass in B minor by Johann Sebastian Bach will be offered in the series ​“Mass compositions as an Art Form”. In December 2019 ​“La Mer” by Debussy and ​“Daphnis et Chloe“ suite No. 2 by Ravel are on the program, as is a chamber orchestra project with ​“The Messiah” by Handel and the Mass in A major by Rheinberger. 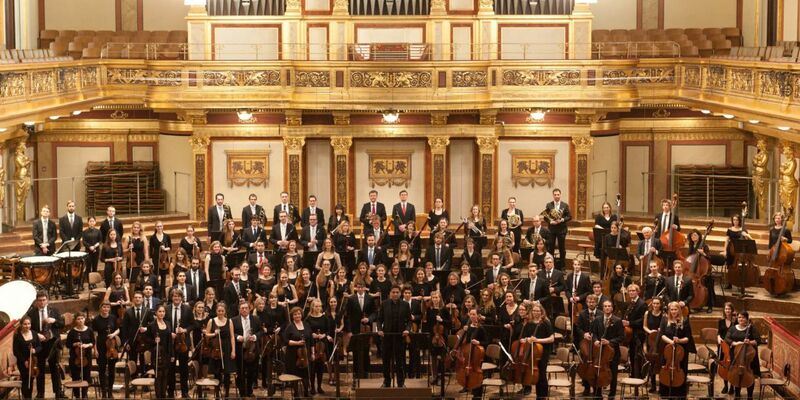 In March 2020 Gustav Mahler’s 2nd symphony ​“The Resurrection” will be performed at the Musikverein. 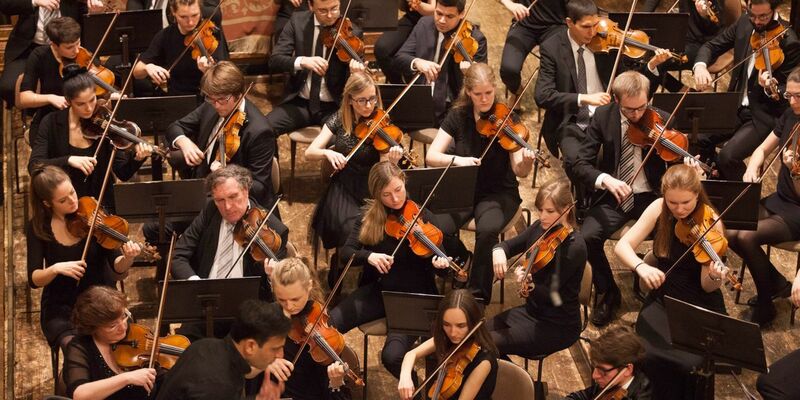 In the past academic year, concerts included Dvořák´s 3rd symphony, Mendelssohn’s 4th Symphony, Mahler’s 5th Symphony and a chamber music project with the ​“Stabat Mater” by Pergolesi. After its world premiere in Beijing with the China National Symphony Orchestra, the European premiere of Vijay Upadhyaya’s 2nd symphony was performed in December 2017.